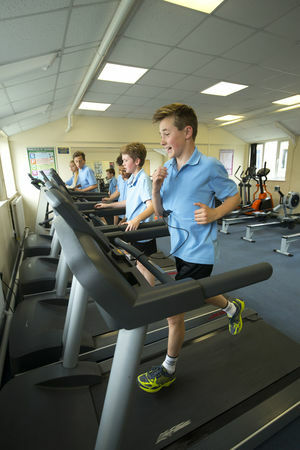 We offer a high quality PE curriculum that enables all pupils to enjoy and succeed in many kinds of physical activity. They develop a wide range of skills and the ability to use tactics, strategies and compositional ideas to perform successfully. When they are performing, they think about what they are doing, analyse the situation and make decisions. They also reflect on their own and others’ performances and find ways to improve them. As a result, they develop the confidence to take part in different physical activities and learn about the value of healthy, active lifestyles. Discovering what they like to do, what their aptitudes are at school, and how and where to get involved in physical activity helps them make informed choices about lifelong physical activity. 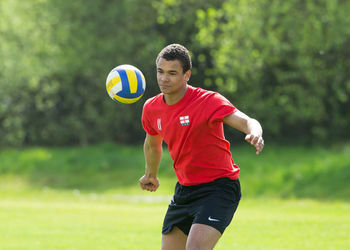 What is it like to study PE at GCSE? Applied anatomy and physiology, Movement analysis, Physical training and use of data. This is 30% of the qualification, 78 marks and is assessed through a written exam of 1 hour and 15 minutes. Sport psychology, socio–cultural influences, health, fitness & well-being and use of data. There are 100 marks in total, 25 per activity (75): 10 marks for progressive drills and 15 marks for the full context of the activity. A written Analysis and Evaluation of a Performance which is worth 25 marks. This can be a performance of their own or of another performer. It will include 2 strengths and 2 weaknesses of performance (15 marks) and an action plan to improve the weaknesses (10 marks). This course is for students who have a real passion for sport and want to understand the theory of Physical Education. It will give you exciting opportunities to be involved in a number of different physical activities, promoting an active and healthy lifestyle. Students have to be physically able across a wide range of sporting activities as a player/performer. Students must be able to work hard, complete homework and coursework, participate fully in all practical activities, be organised and at times responsible for their own learning. 1. Practical Performances in a variety of activities as a player/performer. 2. Analysis and Evaluation of Performance written coursework in one of your chosen activities. Students will be expected to analyse and evaluate performances in a sport of their choice. 3. Theoretical study of the human body and movement in physical activity, sport & socio-cultural influences, and well-being in physical activity and sport. At Key Stage 3 we aim to develop pupils’ competence and confidence to take part in a range of physical activities that become a central part of their lives, both in and out of school. Our PE program helps pupils develop personally and socially. They work as individuals, in groups and in teams, developing concepts of fairness and of personal and social responsibility. They take on different roles and responsibilities, including leadership, coaching and officiating. Through the range of experiences that PE offers, they learn how to be effective in competitive, creative and challenging situations. Pupils will follow a varied program of activities during their 2 hours a week that seek to develop the key competencies of the National Curriculum. 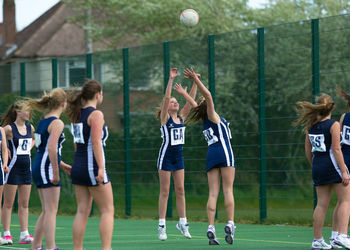 We also offer a wide range of opportunities to participate in extra-curricular activities after school and the chance to represent the school in competitive fixtures.